Trial is fully functional for 30 days. If you want to continue using Copy n Go after that, please buy a license. Version 1.4.2. Copy ‘n Go a clipboard manager. 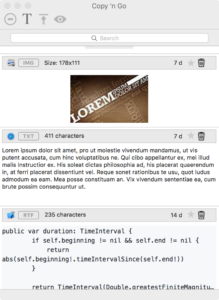 Unlike the standard clipboard, Copy ‘n Go can contain a large number of items. No more continuous switching between apps. Copy everything first, then paste where you need. Copy as many items as you like in the copy history. The maximum number of items can be set in the preferences. Search in the copy history to find what you need. Mark frequently used items as favourite. In the preferences you can set to only keep your favourites when stopping the application. 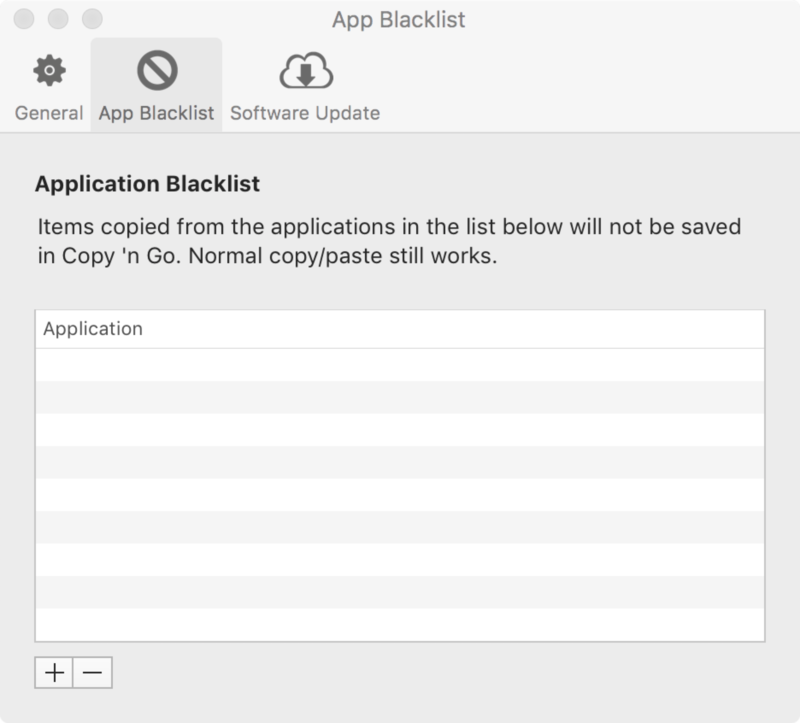 If you have application for which you do not want to save copied items, you can add these applications in the blacklist. Copy ‘n Go support the following types: images, text, RTF, files. 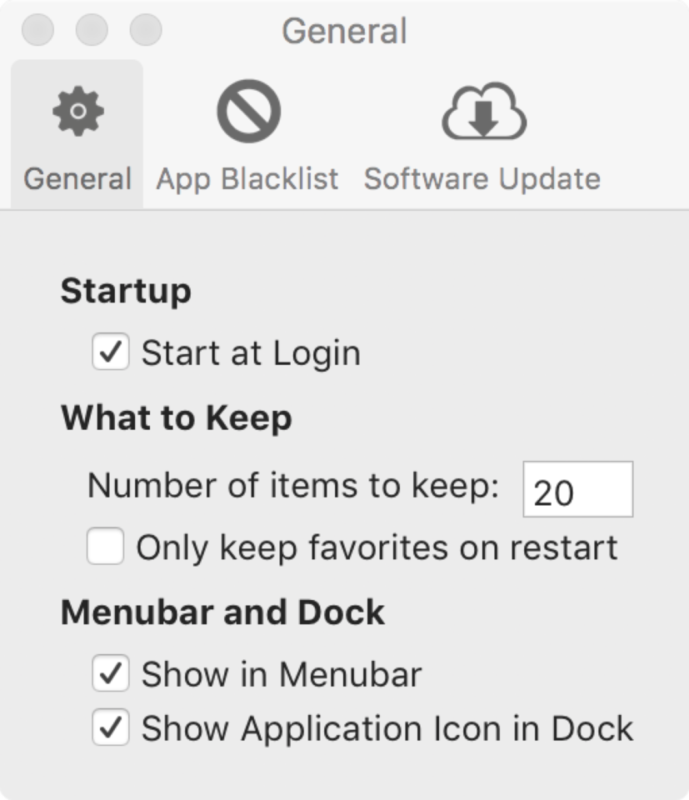 For easy access to you copy history you can activate a menubar icon. Create screenshots for window, screen or selection and add them to the list of items. Mac OS X 10.11 or higher is required to run Copy ‘n Go.